Moogulator – Adresse und Daten siehe Impressum betreibt diese Site, sowie die dort angebotenen Services / Funktionen. Moogulator.com möchte keine Daten sammeln, theoretisch kann man auch kommentieren und sich dafür registrieren, die Kommentarfunktion ist aber auch wegen der neuen DSGVO abgeschaltet, dazu gibt es keine User mehr in der Benutzerdatenbank außer dem Admin. Da würde theoretisch Email und Website erfragt sowie ein Nickname. Diese Funktion ist für die Kommentierung nötig, wurde aber abgeschaltet, sodass diese komplett sinnlos ist – alle User wurden am 22.5.2018 komplett gelöscht und keine weiteren angenommen. Personenbezogene Daten werden faktisch nicht erhoben, allerdings gibt es Logfiles, die jedoch anonymisiert werden seitens des Providers. Siehe unten. Sollten jemand Fragen zur Datenschutzerklärung haben, schicke eine Mail via Impressum an mich.
Grundsätzlich liest man auf Moogulator anonym, solange du dich nicht als Nutzer registrierst. du brauchst für keine Funktion eine solche Registrierung, weshalb diese auch weitgehend entfernt und versteckt wurde. Das hier ist ein Standard CMS, falls jemand sich registrieren sollte, werden die Daten beim nächsten Wartungs-Update einfach gelöscht, da ich an solchen kein Interesse habe. Diese Site verwendet Cookies, die zwar nicht deinen Namen / persönliche Dingen enthalten, rechtlich aber als pseudonyme Daten zu bewerten sein können. Das gilt auch für die Analyse meiner Sites durch technische Mittel (Jetpack Plugin). Es gibt allerdings keine Tools die dafür speziell im Einsatz sind außer die Logfiles meines Servers und eben Jetpack als Teil von WordPress. Was die tun und wie die arbeiten kann jeder Webseitenbetreiber/Host erklären, bei mir ist das all-inkl.com. Dort habe ich Anonymisierung aller IPs eingeschaltet. Soundcloud.com, Youtube.com, Facebook.com, Twitter.com, Vimeo.com, Bandsintown.com zur Anzeige von Videos und Tourdaten – diese erfordern keinen Account, sind teilweise eingebettete Videos oder Audioplayer. Diese könnten den Nutzer per IP tracken, wer das nicht will sollte diese Site einfach nicht nutzen oder die genannten Sites blockieren um keine Videos zu sehe und nicht potentiell getrackt zu werden. Fotos, Audios und Videos werden zumeist durch meinen Youtube Account eingeflogen. Ein Player von Youtube und anderen Anbietern kann versuchen IPs zu tracken. Wenn du hier bist und klickst „sprichst“ du mit meinem Server. Dabei werden Logfiles erstellt. Die enthalten keine personenbezogenen Daten. Insbesondere werden IP-Adressen anonymisiert. Und zwar vollständig. Ich verwende Logfiles lediglich, um Störungsfälle analysieren & zu beheben zu können. Auf meiner Plattform verwende ich und Dritte (also Player, WordPress und div. Videohoster – primär Youtube) Cookies. Das sind Textdateien, die auf deinem Rechner gespeichert werden mit Informationen. „Local Storage“ stellt persistenten Speicher im Browser zur (auch für Authentifizierung / Autorisierung). Dort speichere „ich“ (und die Playeranbieter) eine Session via Cookies. Sessions sind kleine Infoabschnitte -> eine zufällig erzeugte eindeutige Identifikationziffer (Auth-Token). Beim Ausloggen aus dem Nutzerkonto werden deine Daten aus dem Local Storage gelöscht. Der Local Storage lässt sich in der Regel mit allen Browsern steuern. Du kannst die im Local Storage gespeicherten Inhalte in den Einstellungen des Browsers löschen. In this section you should note your site URL, as well as the name of the company, organization, or individual behind it, and some accurate contact information. The amount of information you may be required to show will vary depending on your local or national business regulations. You may, for example, be required to display a physical address, a registered address, or your company registration number. In this section you should note what personal data you collect from users and site visitors. This may include personal data, such as name, email address, personal account preferences; transactional data, such as purchase information; and technical data, such as information about cookies. You should also note any collection and retention of sensitive personal data, such as data concerning health. In addition to listing what personal data you collect, you need to note why you collect it. These explanations must note either the legal basis for your data collection and retention or the active consent the user has given. Personal data is not just created by a user’s interactions with your site. Personal data is also generated from technical processes such as contact forms, comments, cookies, analytics, and third party embeds. By default WordPress does not collect any personal data about visitors, and only collects the data shown on the User Profile screen from registered users. However some of your plugins may collect personal data. You should add the relevant information below. In this subsection you should note what information is captured through comments. We have noted the data which WordPress collects by default. Suggested text: When visitors leave comments on the site we collect the data shown in the comments form, and also the visitor’s IP address and browser user agent string to help spam detection. In this subsection you should note what information may be disclosed by users who can upload media files. All uploaded files are usually publicly accessible. Suggested text: If you upload images to the website, you should avoid uploading images with embedded location data (EXIF GPS) included. Visitors to the website can download and extract any location data from images on the website. Articles on this site may include embedded content (e.g. videos, images, articles, etc.). Embedded content from other websites behaves in the exact same way as if the visitor has visited the other website. so there are some of those here like youtube, soundcloud, bandcamp, bandsintown, vimeo and twitter, instagram etc – that provide some video and audio content. By default WordPress does not collect any analytics data. However, many web hosting accounts collect some anonymous analytics data. You may also have installed a WordPress plugin that provides analytics services. In that case, add information from that plugin here: Jetpack by Automattic (WordPress). does anonymized statistics. By default WordPress does not share any personal data with anyone. but still – any player embedded here may do something like setting a cookie. but I do not share data to them from or to this site, but they may be able to track you via their player. I do not save anything here except the content I provide, I do not save users and if there are any I delete them app. every month – but – trust me, no1 registers here – since it makes no sense so – nothing is left on the server about anyone except me. If you leave a comment, the comment and its metadata are retained indefinitely. This is so we can recognize and approve any follow-up comments automatically instead of holding them in a moderation queue. as said – switched off and users deleted. For users that register on our website (which should never be the case), we also store the personal information you provide in their user profile. All users can see, edit, or delete their personal information at any time (except they cannot change their username). Website administrators can also see and edit that information. at the moment no one is in that data base since I do not accept more than myself as a user here – but I am happy you you write an Email, book my or something but you know where to find my Email (under KONTAKT). I do not collect data, so there is nothing to see here – there are no user accounts – I deleted them all, so there is nothing personal I can provide you with or track you since I simply don’t know how you are and never will. If you have an account on this site, or have left comments, you can request to receive an exported file of the personal data we hold about you, including any data you have provided to us. You can also request that we erase any personal data we hold about you. This does not include any data we are obliged to keep for administrative, legal, or security purpose – since there are not accounts – no comments and no users – no1 should ever be – but it is technically possibly – even though the form is switched off so – there is nothing here. I do not send anything to anyone – but I am using Players like Youtube and others to play some videos by Moogulator or others who filmed or recorded moogulator. those are embedded here and there on this page. they may set cookies – but you do not need to login to them to see or watch it. I listed all of them above. Visitor comments are be checked through an automated spam detection service. akismet is the name of it. find my data in KONTAKT/Imprint – easy to find – if you need to contact me or need more information about everything – just send an Email. moogulator uses SSL / Https – so it is secure according to the higher standards. anyway please do not use any logins here, if you found one – this is not for you but only for my to log in and post stuff. I do not provide any data to anyone – the only data I got is the user registration which is just myself for editing – so you will not be in danger and no data can be damaged or harmed provided by you since – not stored! 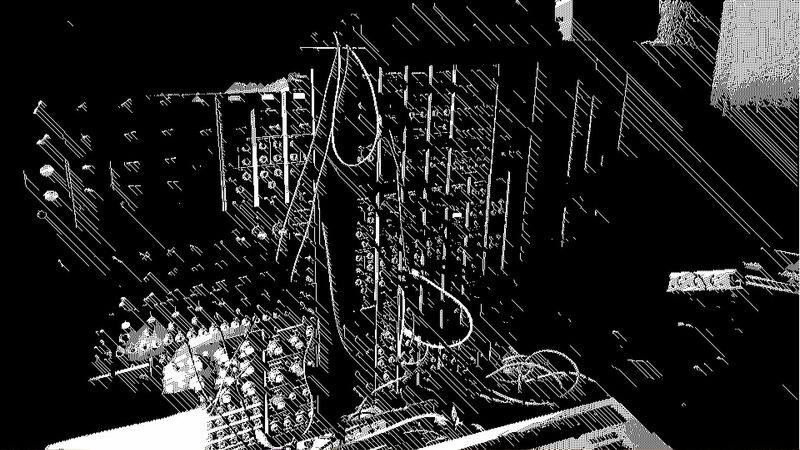 I am not part of anything this is just Moogulator making music. Diese Site und die persönliche Site werden von Facebook mit Cookies und allerlei Trackern und Diensten begleitet, dh. dort bitte nur hin gehen, wenn du vorher bei Facebook gelesen hast, wie sie die Daten nutzen und was sie damit tun. Ich selbst tracke gar nichts dort – aber Facebook schon. Datenschutzerklärung von Facebook unter http://de-de.facebook.com/policy.php. Facebook gehört nicht mir, sondern es ist nur eine einzige kleine Präsenz dort, verantwortlich ist also Facebook als Betreiber von Facebook.